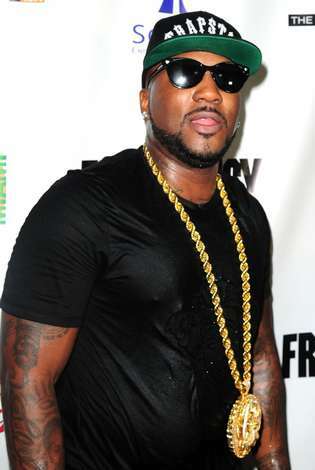 JEEZY MDW PARTY MIAMI – DREAM NIGHTCLUB - HOTTEST THURSDAY NIGHT MDW PARTY – YOUNG JEEZY LIVE! MDW PARTY! 1 DAY - 1 EXCLUSIVE EVENT! YOUNG JEEZY LIVE AT DREAM MIAMI WITH MUSIC BY NYC HOTTEST DJS! DREAM NIGHT CLUB MIAMI WITH YOUNG JEEZY MDW PARTY ! TICKET EVENT 21 & OVER ! MDW PARTY @DREAM IN MIAMI! CAPACITY EXPECTED! BUY YOUR TICKETS NOW FOR 30$! ID a must. 21 & over - Doors open at 10pm. Dream Miami Young Jeezy Party Dress Code: Guys Dark Sneakers okay with Collar Shirt or Button Up, Ladies Shoes! Dream Miami Young Jeezy Party Bottle Packages: Bottle Prices available by request. DUE TO HIGH VOLUME OF TICKETS BEING SOLD, PLEASE ARRIVE EARLY TO AVOID LONG LINES! ALL SALES ARE FINAL! NO REFUNDS OR RETURNS. YOU ARE RESPONSIBLE FOR FOLLOWING DRESSCODE, ENTRANCE, ATTENDANCE & IDENTIFICATION POLICIES – ENTRY MAY BE DENIED IF GUIDELINES ARE NOT FOLLOWED & A REFUND WILL NOT BE ISSUED IN SUCH SCENARIOS.